The Sport-Tek Repel Hooded Pullover Style ST290 is available in Adult Sizes: XS-4XL and can be purchased in your choice of the following colors: Black, Deep Red, Graphite Grey, True Navy and True Royal. It comes with a durable water repellent finish to keep the rain out! The Sport-Tek Repel Hooded Pullover Style ST290 is available in Adult Sizes: XS-4XL and comes the following colors: Black, Deep Red, Graphite Grey, True Navy and True Royal. Don’t let light rain or snow keep you inside. Our Repel Hooded Pullover has a durable water repellent (DWR) finish to help keep moisture out, while the brushed fleece interior keeps warmth in. With a roomier fit, this moisture-wicking piece can easily be layered or even worn instead of a jacket. 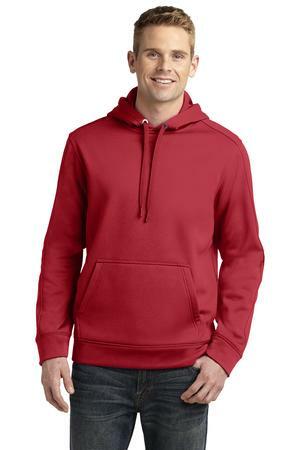 Be the first to review “Sport-Tek Repel Hooded Pullover Style ST290” Click here to cancel reply.